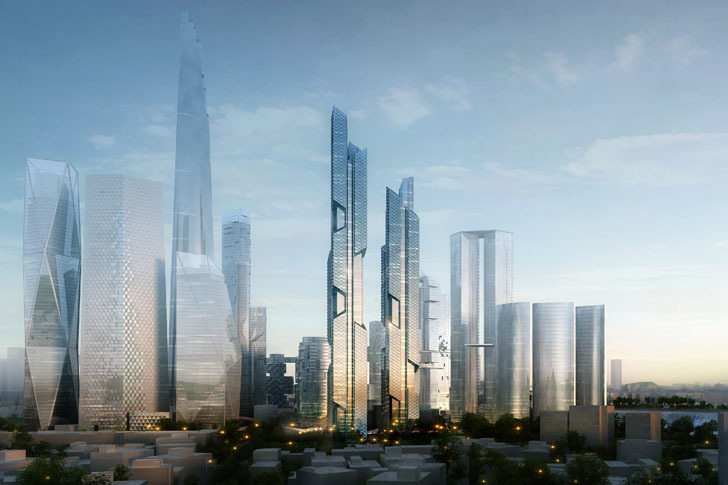 Adrian Smith + Gordon Gill, an architecture firm that is very familiar with designing skyscraper projects, just revealed their plans for a pair of towers that will be added to Seoul, South Korea’s skyline. The interesting thing is that both towers would share scaly, dragon-like facades. 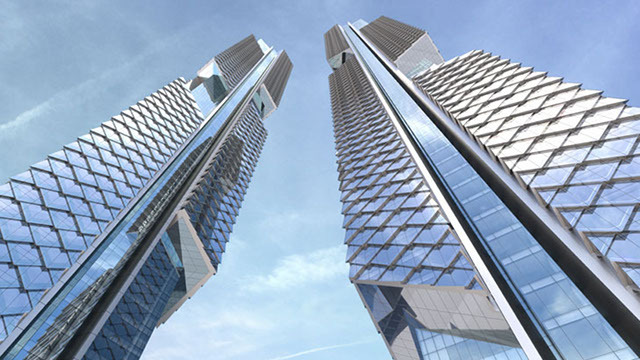 The Dancing Dragons, towering 88- and 77-stories respectively, will utilize a breathable, scale-like facade of glass panels that will act as a working air-circulation and ventilation system. The facade design is inspired by mythical Korean dragons, but the “dancing” part refers to the “sympathetic and complementary relationship between the two masses at the level of the cuts, almost as though they were dancing,” according to Adrian Smith’s statement in a press release. Some of the green features included in the Dancing Dragons range from photo-voltaic arrays on roof surfaces, radiant heating, fuel-cell cogeneration units in the basement level, and triple-glazed windows in order to minimize any heat loss. So….they won’t actually breathe fire, right? Because that would be a POOR EXAMPLE of a design aesthetic…just saying. Also (to my fellow gamers), when I initially read the announcement of the project, I thought I read “Double Dragon” instead of “Dancing Dragon.” You are not alone.